I was able to download from the Microsoft Web site but in an unreadable ISO form only. Unfortunately that is where my troubles started. I used Nero to burn a CD of the file but was unable to find any program for converting its contents to my hard drive. All promises were met by systems needing Windows 3.1 Installer or higher and most offered WINRar which could not open the file. Going back to Microsoft for 3.1 to be installed was met by saying that I required Service Pack 3 pre-installed to do that. Automatic Updates from Microsoft appear to have stopped because they always say that they have a problem with the website and cannot connect me. They have me registered for Auto Updates but until now nothing has arrived at 3am each day so this does not work either. Since my first hard drive crashed I have had to reformat 3 times, had my motherboard changed and new RAM installed. If only I had had a 'Mirror Image' installed and not just a bear backup external drive from Field IT and Seagate - BEWARE! Hello Rob. Thank you for taking the time to write. I understand your frustration with converting/extracting ISO files to CD. An *.iso file is a compressed 'image' file of all the files that make up the installation of an application, or a Service Pack (on a CD/DVD or downloadable from a web site). I have had trouble in the past with ISO files however there are several ways to do this. The first thing to do is try an alternative ISO Burner (Actually before this download the ISO file again to confirm it is not corrupted). 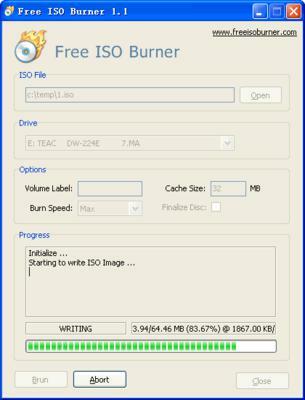 Whilst Nero should be able to do the job, a program such as Free ISO Burner (Opens New Window) is a dedicated piece of software that deals with ISO files. This particular program is a standalone application. This means it does not install on to your computer. From here it is a simple case of opening the ISO file in the program, selecting where you want to extract the contents of the ISO file to i.e. your D: CD\DVD RAM Drive, then click the Burn button. See the PC Support Procedure (Opens New Window) for more details on how to do this. With regards to your Windows Updates issue, this could be down to a corrupt update agent on your machine. The Microsoft Fix It pages are helpful in resolving such issues. The one for Windows Update (Just search for 'Windows Updates not working'), performs a whole manner of checks to get things working again. It is essential this issue is resolved as your machine will become increasingly vulnerable over time if security patches are not frequently applied. It may also be worth manually applying Windows Updates in the short term so your machine is better protected. As your machine has been reformatted 3 times (and possibly more in the future), it is worth considering using a cloning software to take a copy of your machine when it is rebuilt. That way if you need to reformat in the future, you can save yourself a lot of time by re-applying the image of your machine, with all of your device drivers, applications etc. already installed. Clonezilla is a popular open source (free) program to use. Good luck, and I hope some of the information above is of help. Join in and write your own page! It's easy to do. How? Simply click here to return to Windows XP SP3 Download.